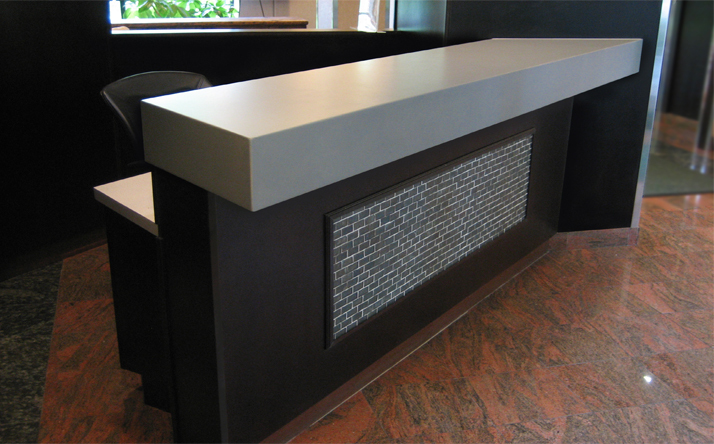 Architects - Designers - Contractors - Learn about our Trade Program Here! 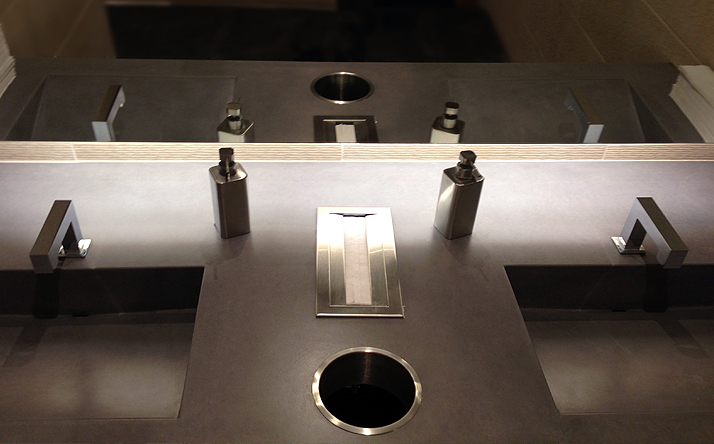 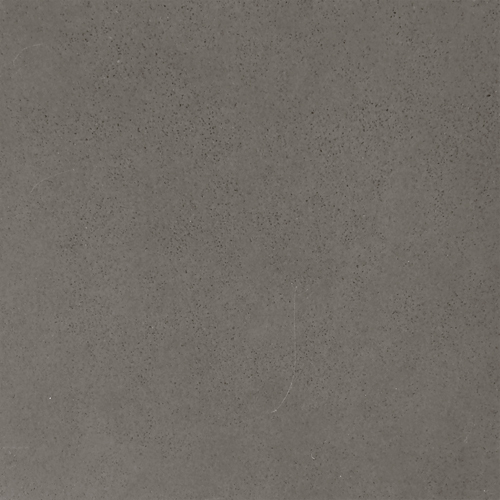 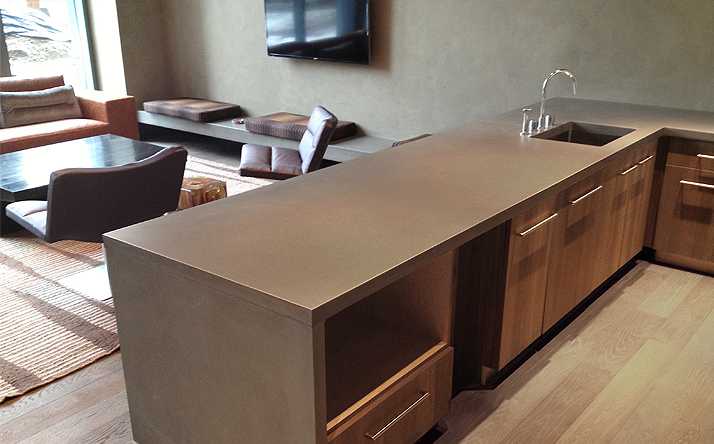 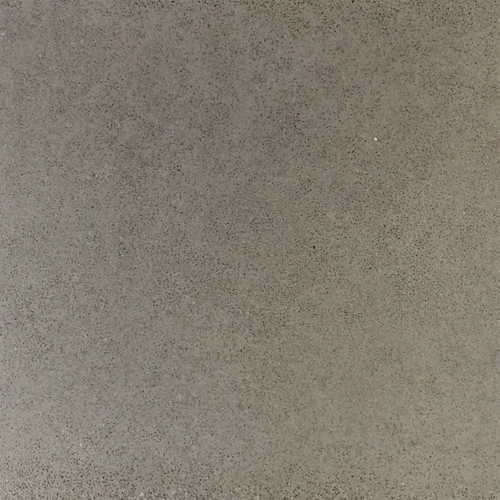 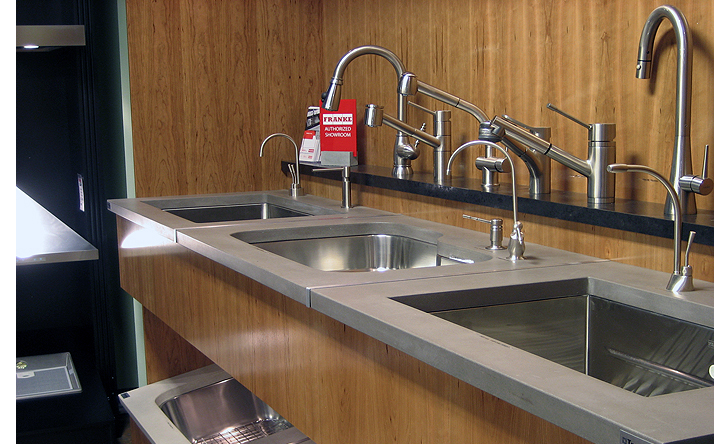 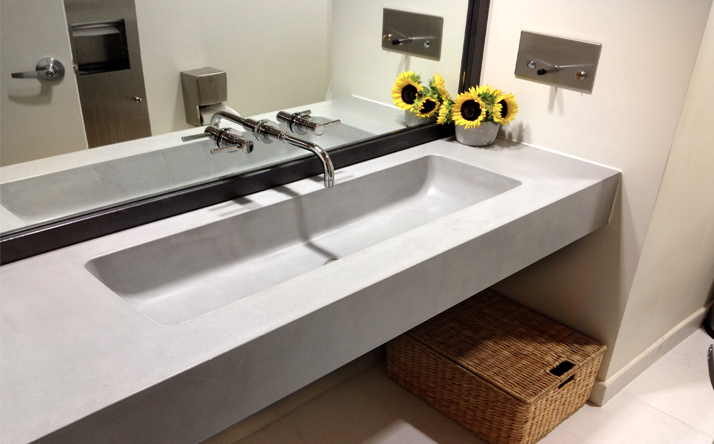 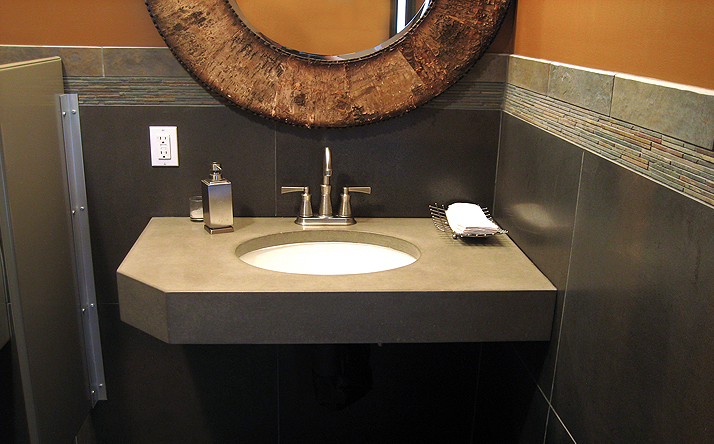 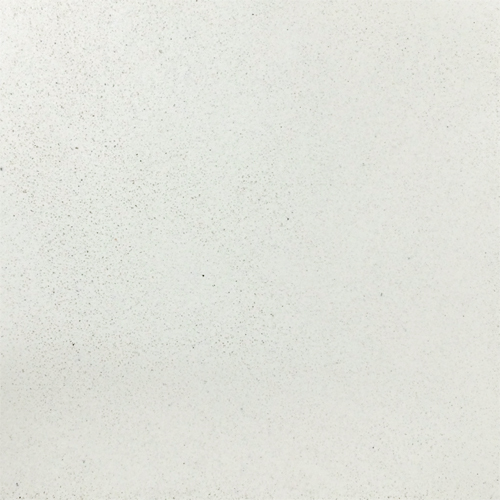 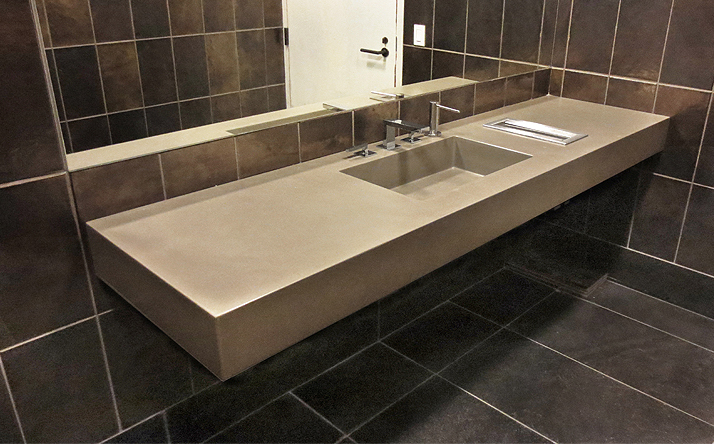 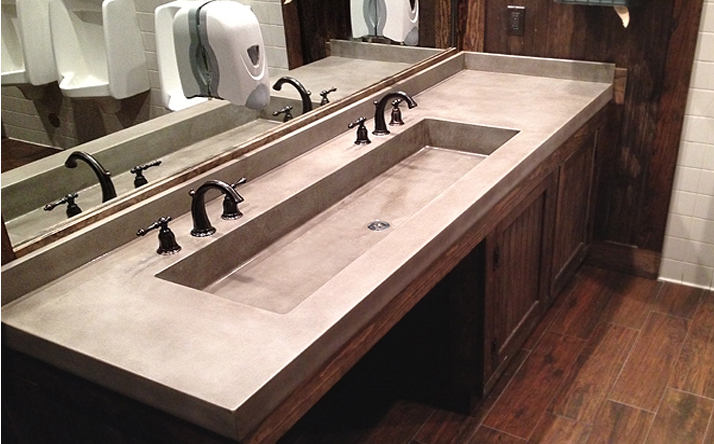 Learn about the Trueform Concrete Countertop Process! 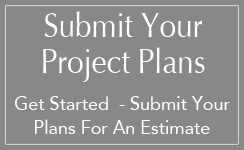 Commercial jobs are demanding and require efficient production methods, dedicated project management, and flexibility. 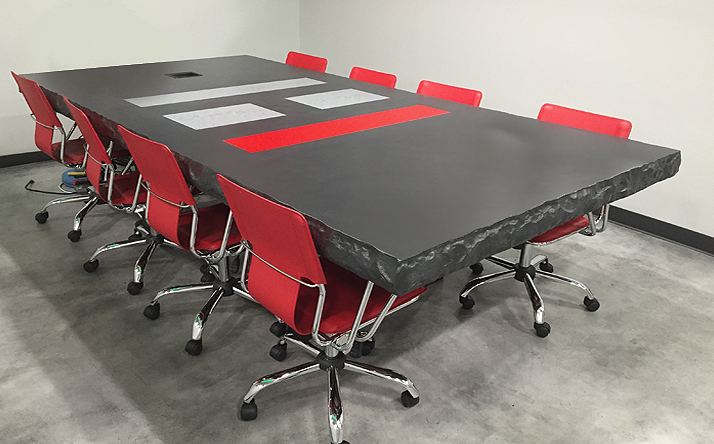 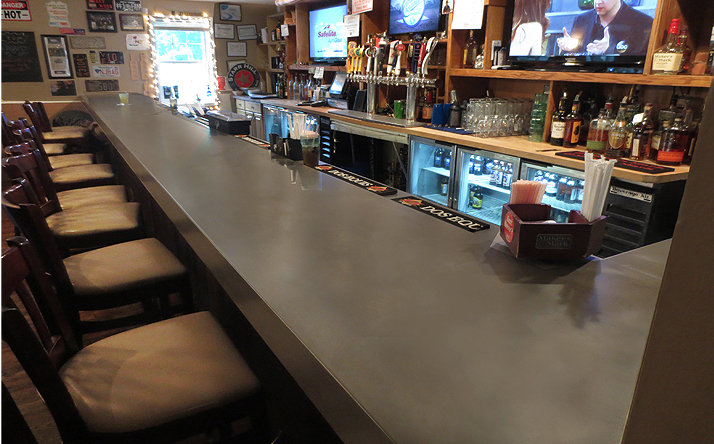 Trueform Concrete leads the precast concrete industry by having the production capability to fulfill large production runs of concrete tables, countertops, and sinks while also maintaining the ability to create custom one-off pieces. 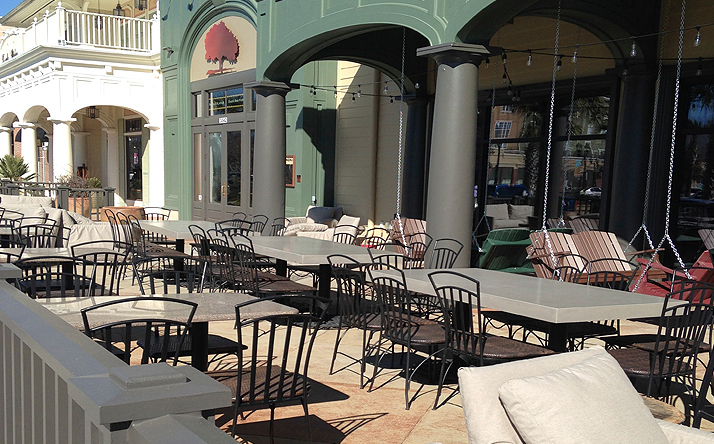 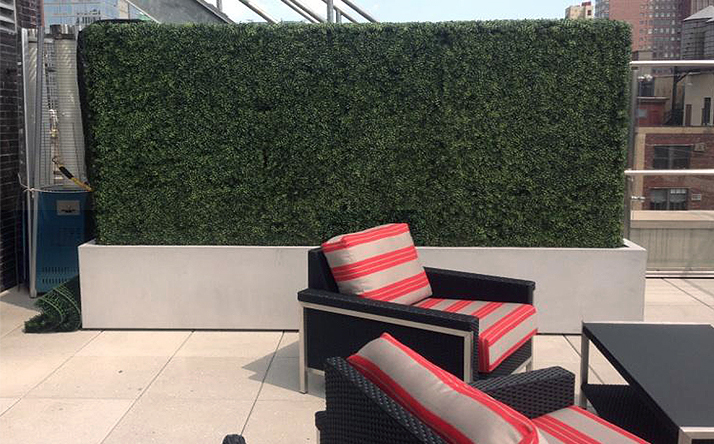 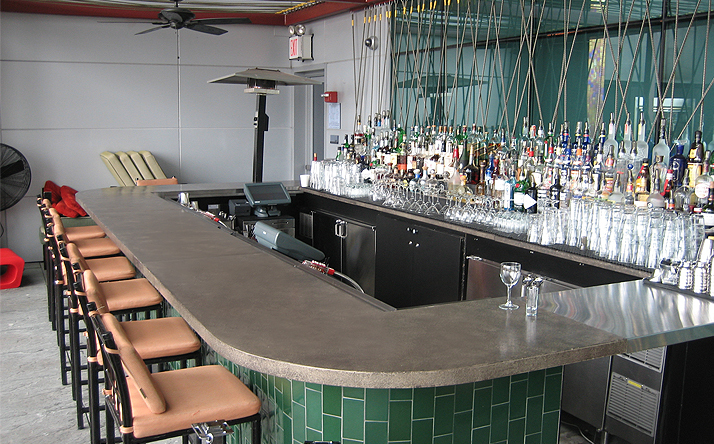 Trueform fabricates commercial concrete projects to spec and ships them nationally and internationally for businesses such as casinos, restaurants, chain & boutique hotels, bars, high-rise luxury condos, offices and retail stores. 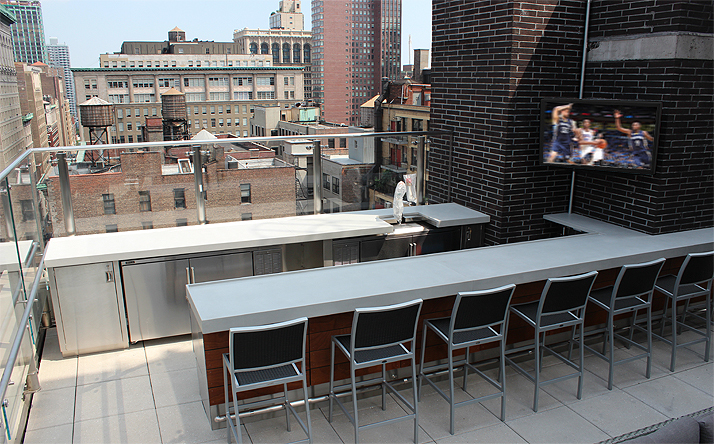 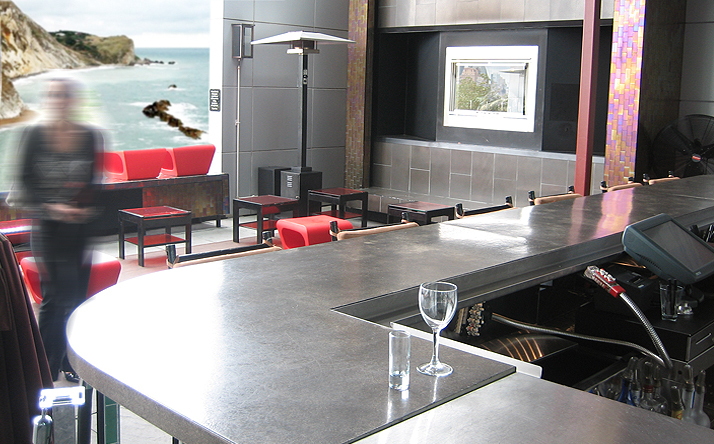 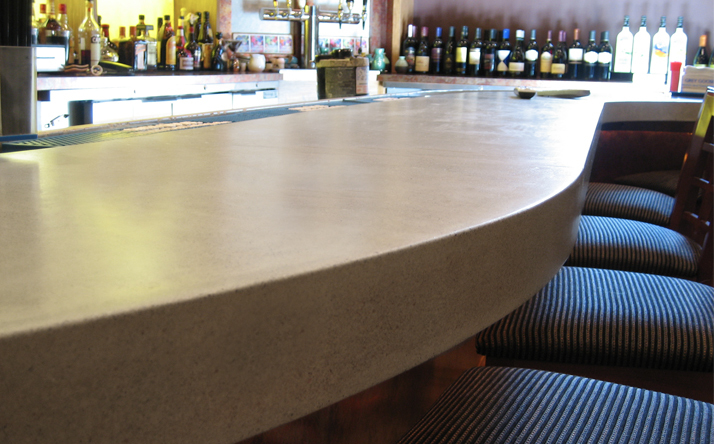 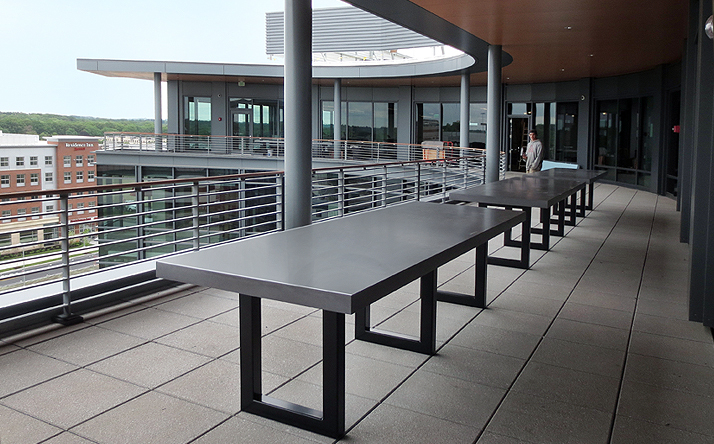 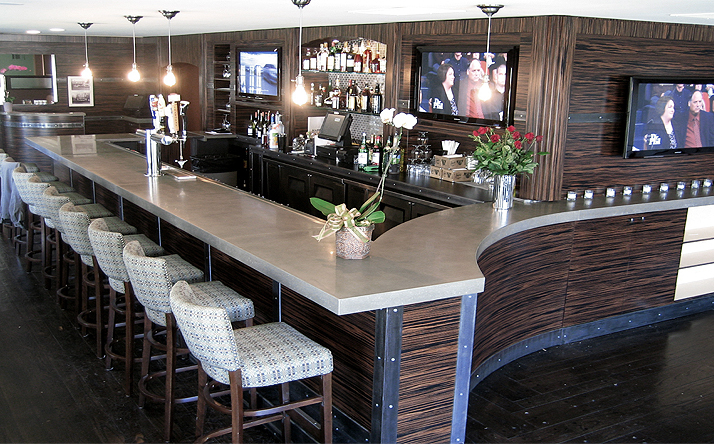 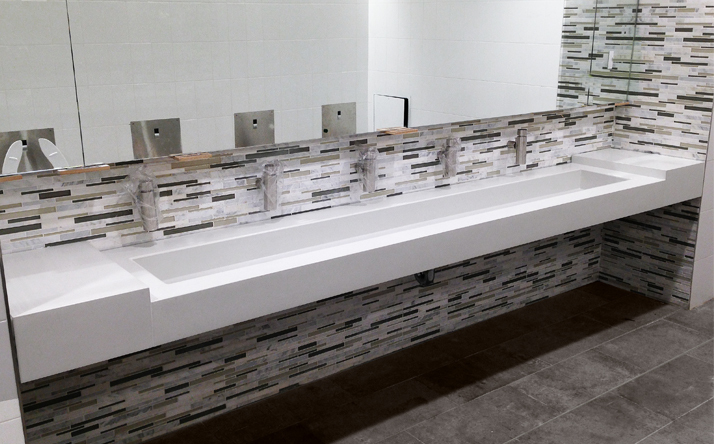 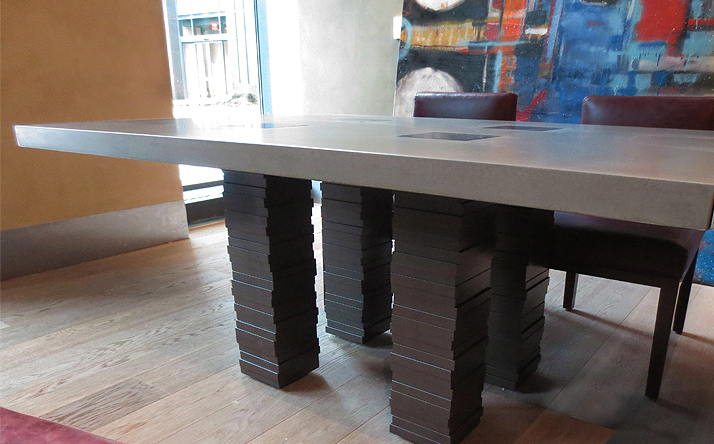 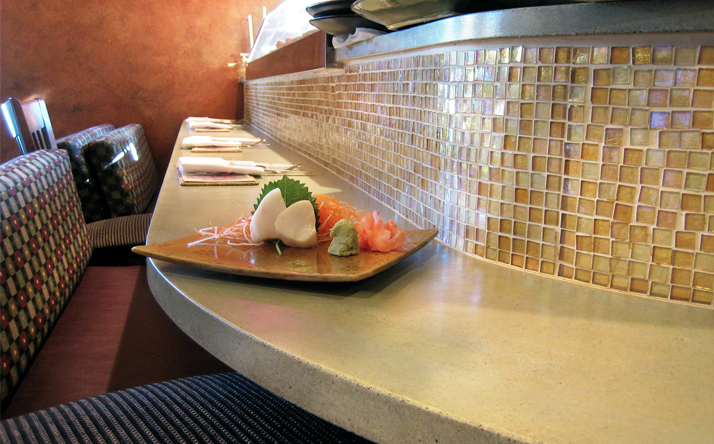 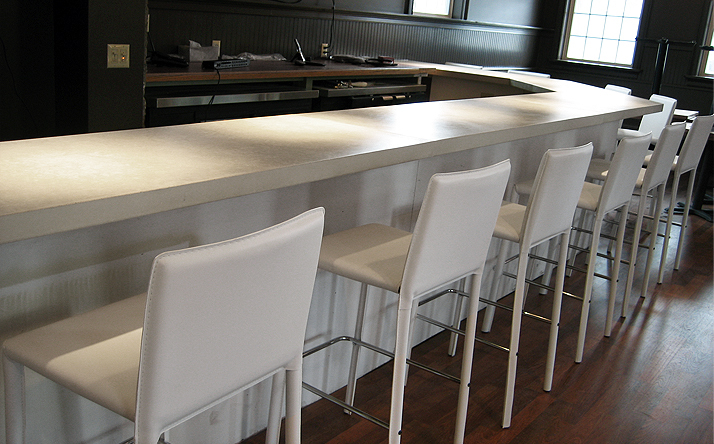 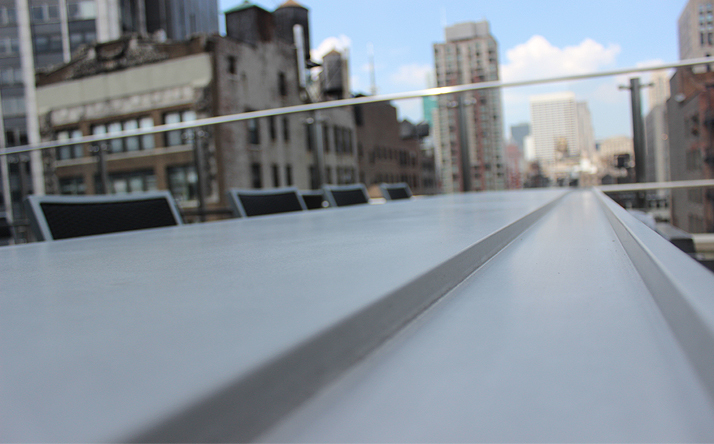 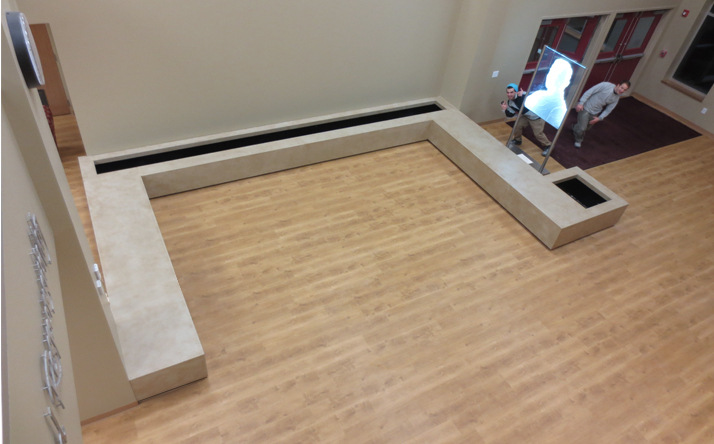 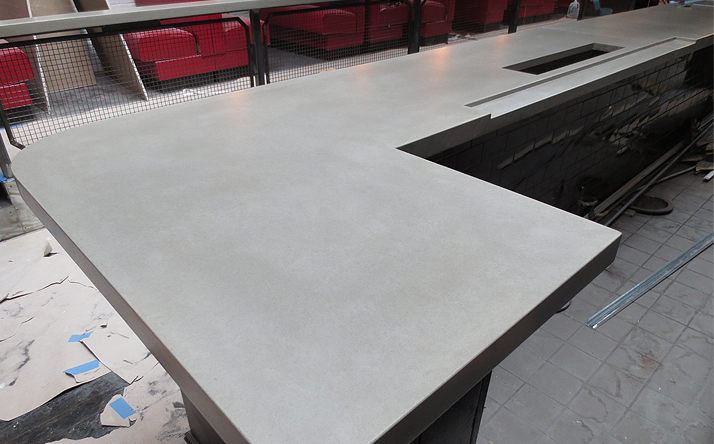 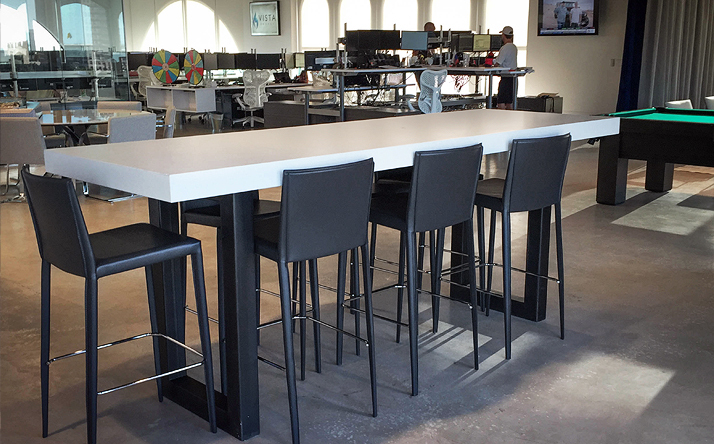 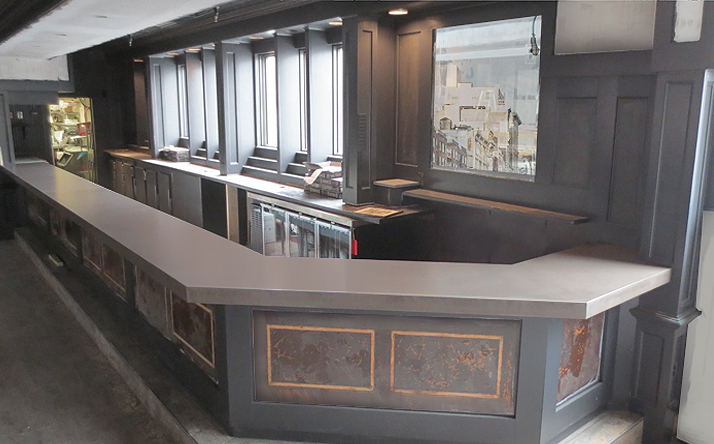 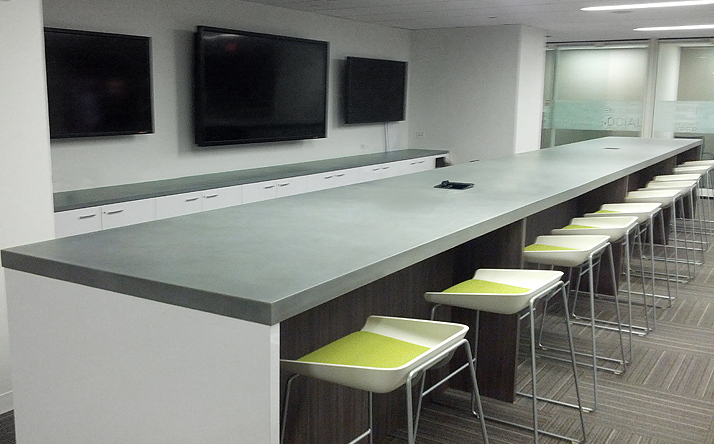 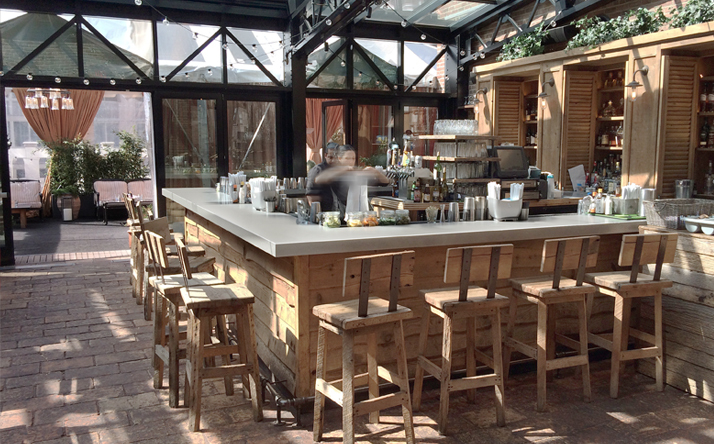 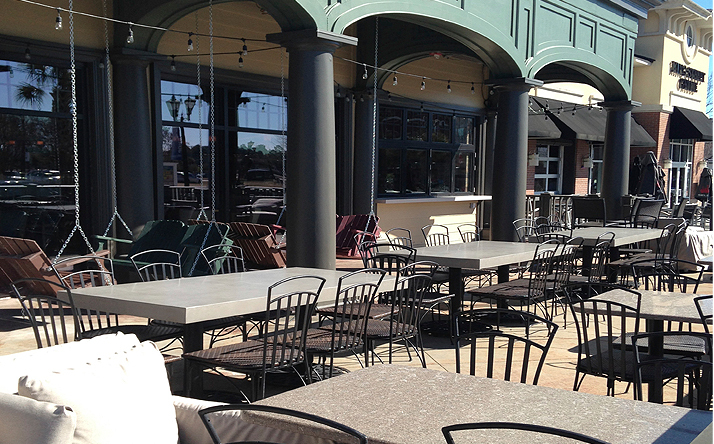 Common applications for commercial concrete include: concrete bartops, cashwraps, POS stations, dining and communal tables, office kitchenette and break room countertops, reception desks, conference room tables, desk tops, vanity countertops, sinks, retail displays, window sills, stair treads and risers and more. 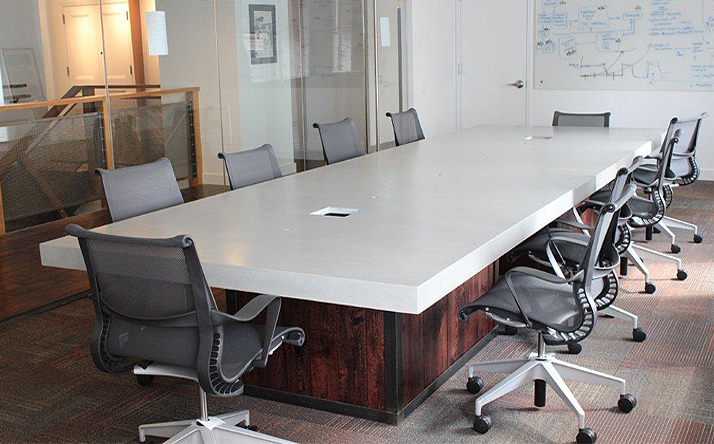 Trueform understands and values the importance of short lead times due to the fast paced demands of construction in the commercial industry. 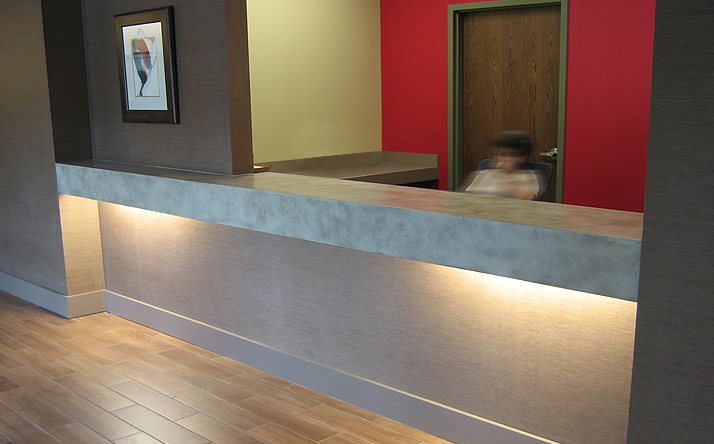 We strive to provide our commercial clients the highest quality products in the shortest lead time possible. 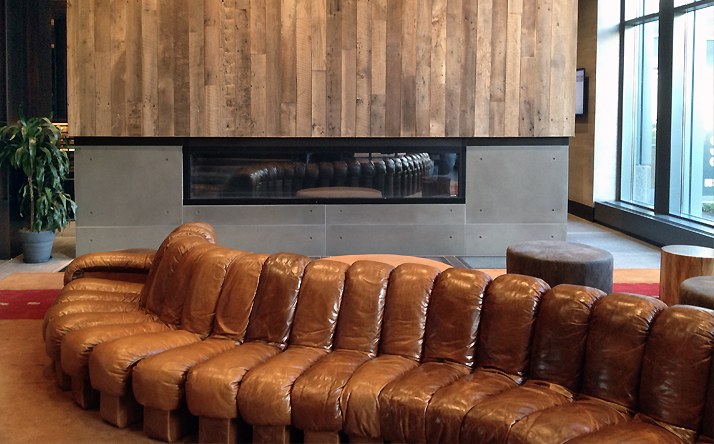 These 8 colors have been refined over the years and are based on the latest design trends. 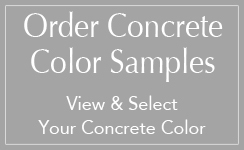 You are not limited to these color options, as custom colors can be created. 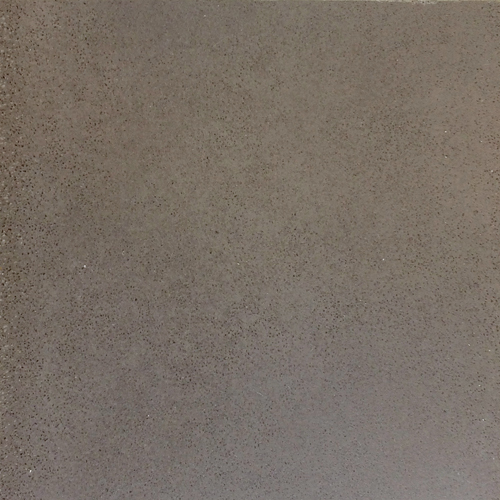 For a small design fee, Trueform can create custom colors for your project base on the Benjamin Moore paint swatch you provide us. 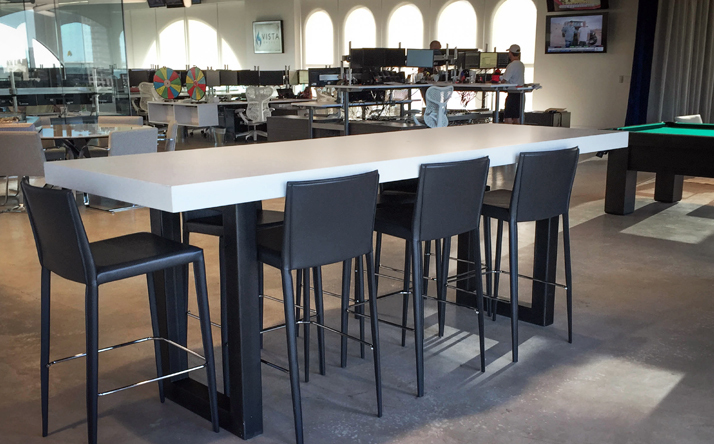 Over the years, our color library has become quite extensive, so we might even have the color formula that matches your specification. 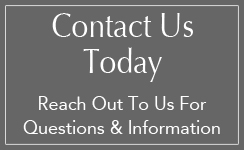 For more information or to speak with a Trueform representative please Contact a Trueform Representative today. 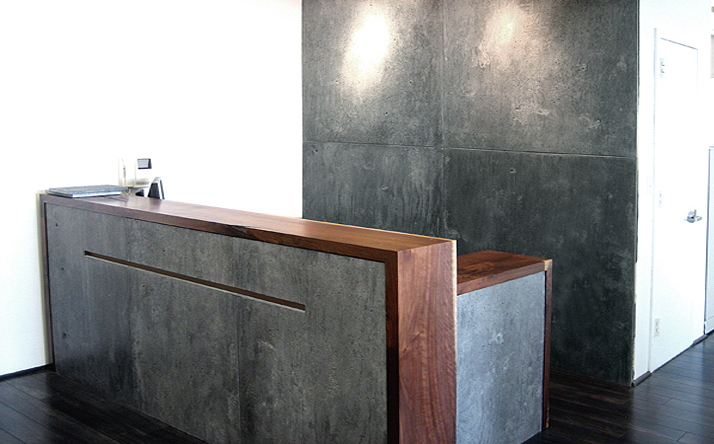 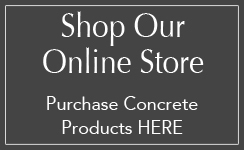 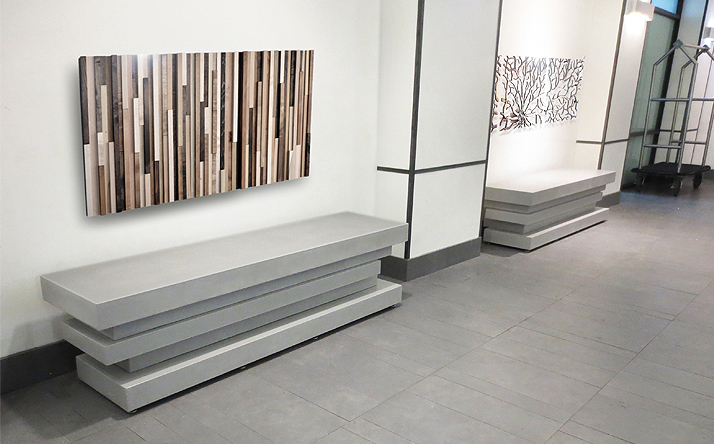 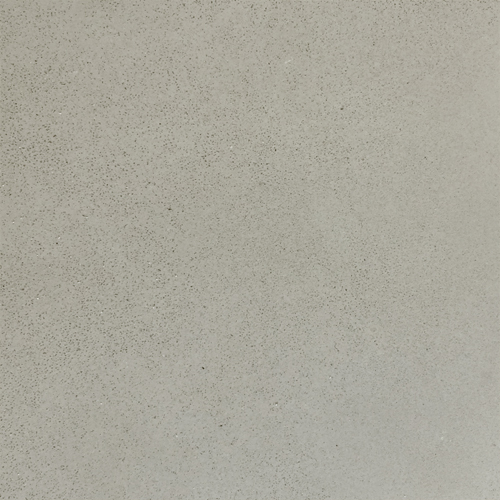 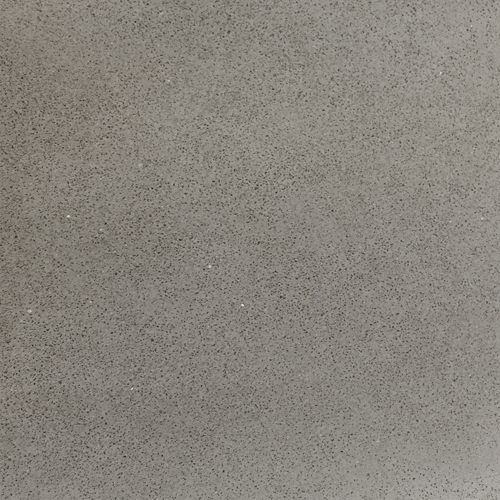 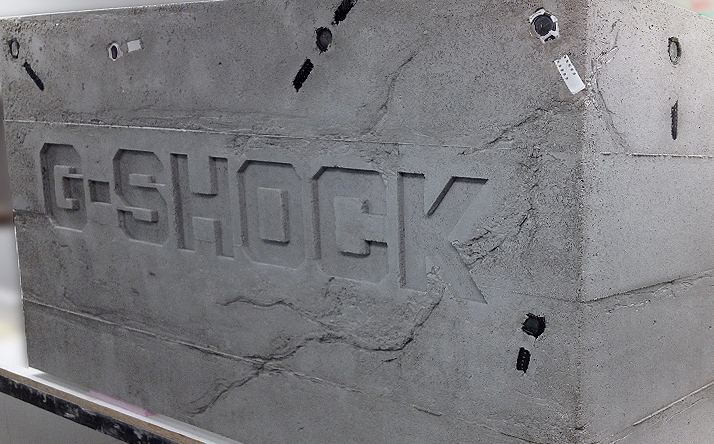 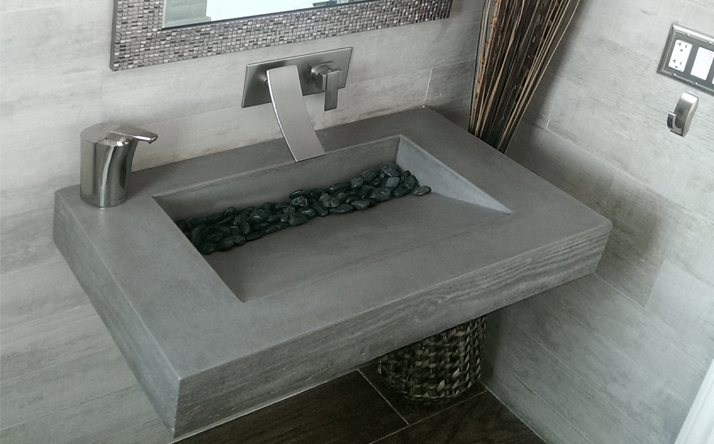 Concrete is a handmade product that utilizes natural materials. 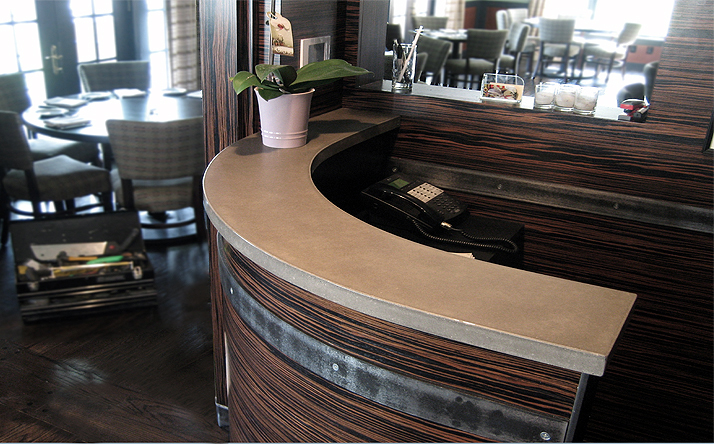 Variation will occur and color samples may vary from the finished product. 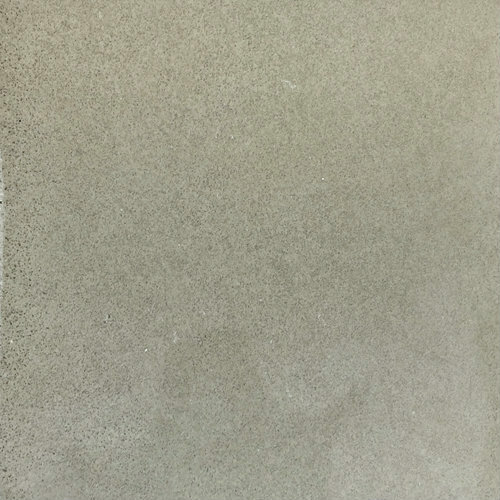 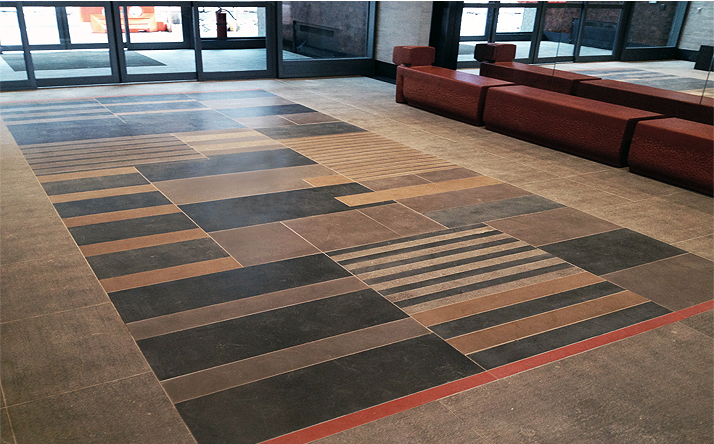 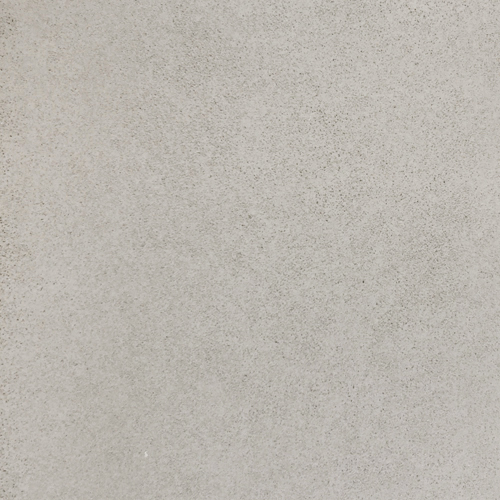 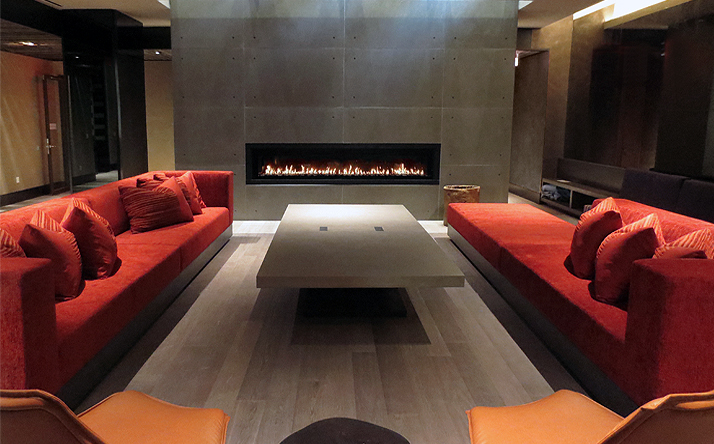 Learn about concrete color variations here.